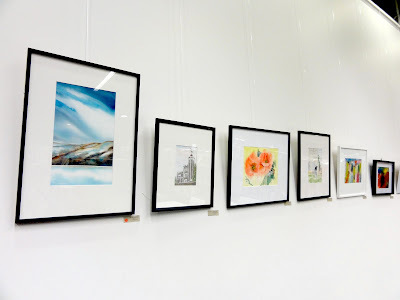 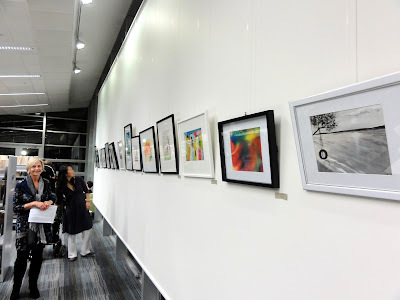 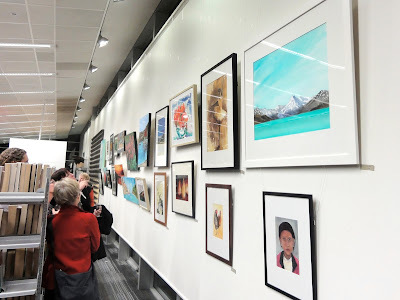 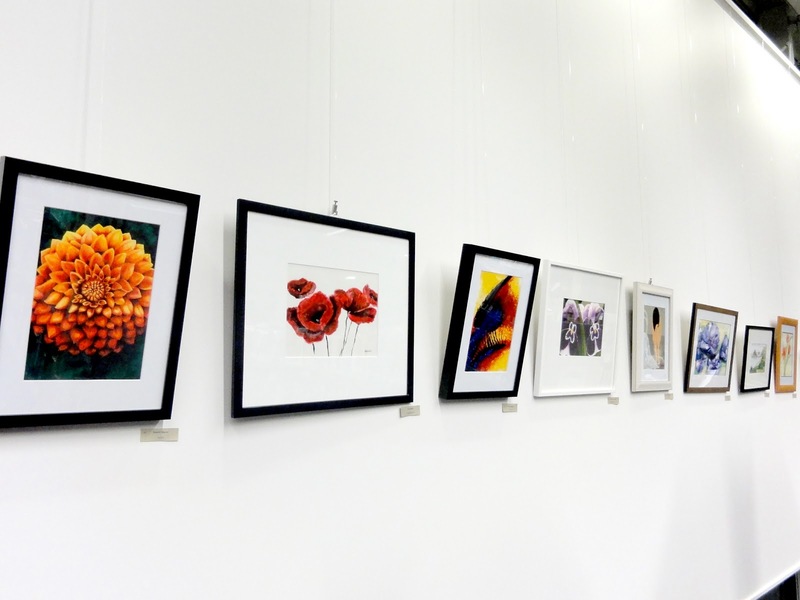 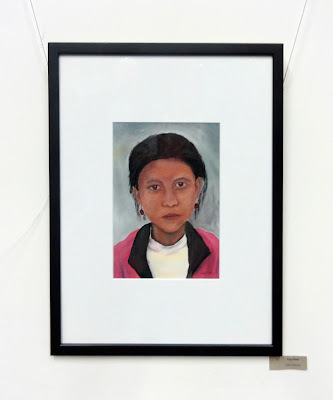 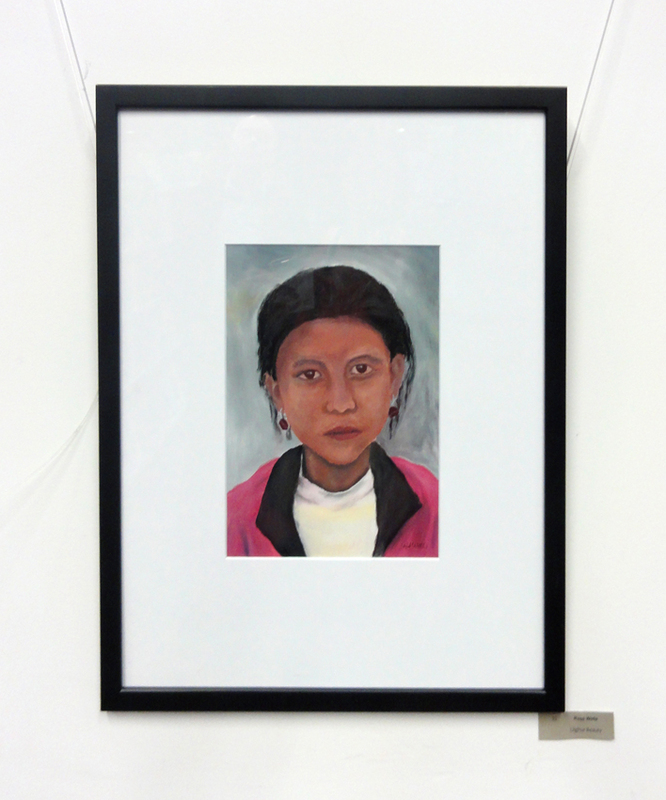 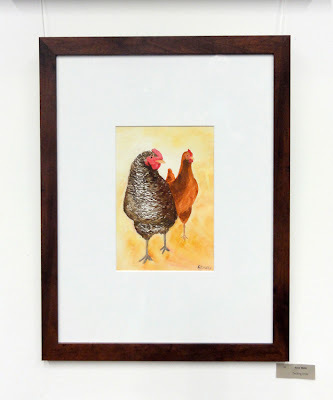 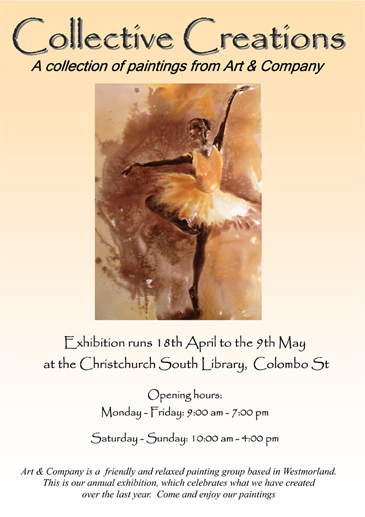 After a delay due to earthquake strengthening work, Art & Company's annual exhibition for 2012 is currently on at the South Library, 66 Colombo Street. 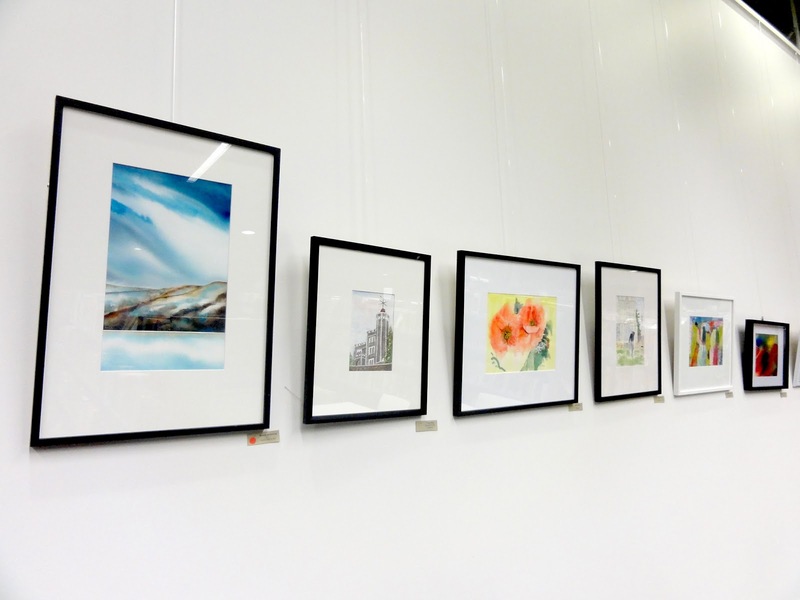 It runs until the 9th May, and contains a variety of paintings from beginners through to more experienced artists. This is my sixth time exhibiting with this group, and I'm always impressed with how well it comes together. Maree always does a great job organising it! 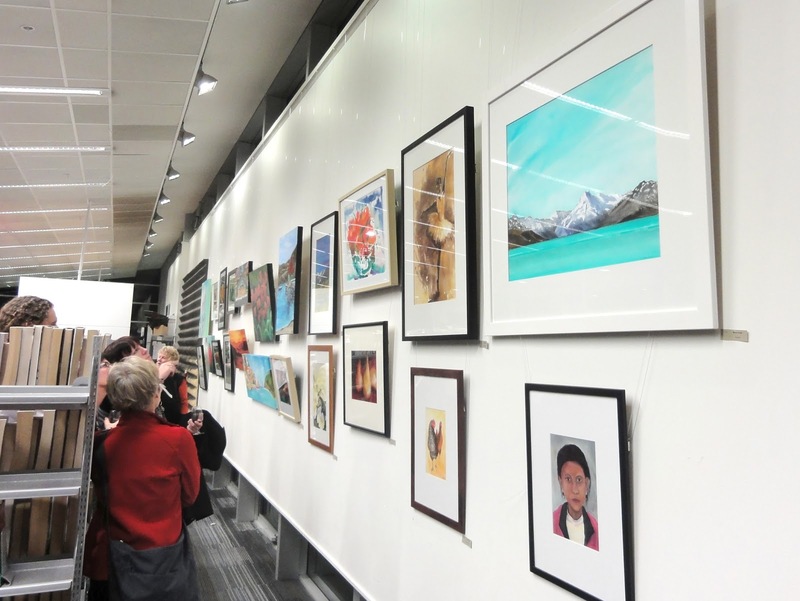 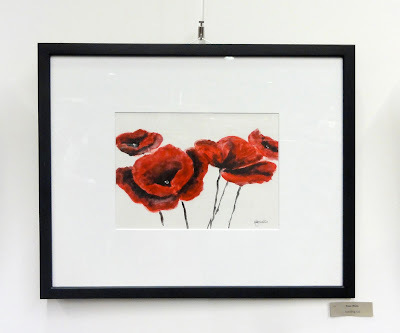 It is well worth a look if you are based in Christchurch, and paintings can be purchased through the Red cafe onsite.